What does a credit score of 590 mean? Is a credit score of 590 good or bad? A credit score of 590 is considered “Poor.” In fact, any credit score below 619 can really take a toll on a person’s life – and not in a good way. The effects can be worse than one might think. In this post, we’ll share what having a credit score of 590 means for home loans, car loans and credit cards. Plus, we’ll share how to improve a 590 credit score. Getting loans with a credit score of 590 is a tough, uphill trek—but if you know how to improve your credit score of 590, you’ll be in a better place to finance a home or car. Buying a car with a credit score of 590 is possible, but higher interest rates are always given to people with bad credit. What is the interest rate for a credit score of 590 on an auto loan? First, let’s take the average amount borrowed by car buyers: $27,000 according to Melinda Zabritski, Experian’s senior director of automotive credit. Now, let’s factor in the 3 common types of auto loans available to us in myFICO’s loan savings calculator: 36-month new auto loan, 48-month new auto loan and a 60-month new auto loan. Let’s take a look at how much more a car costs for someone with a credit score of 590 compared to a credit score of 690. Can a credit score of 590 get a car loan? As the chart above shows, getting an auto loan with a 590 credit score is going to cost you a lot more. On a 36 month new auto loan, it’ll cost you $4,680 more. On a 48 month, $5,568 more. On a 60 month auto loan, it will cost you a whopping $7,200 more. In other words, if your scored changed to a 690, you would save thousands of dollars on your loan. Don’t you think it’s worth a few hundred dollars toward credit repair before you take a test drive? Contact Go Clean Credit to get started. What’s the best credit card for a score of 590? Unfortunately, your options are limited. The general guidelines with credit cards is that any score above 600 may qualify for an unsecured card. If you have a credit score of 590, then you will only qualify for a secured credit card and will be required to make a minimum deposit in order to open your credit card. Go Clean Credit continually evaluates credit offerings and currently recommends these Secured Cards for people with a credit score of 590. We have seen up to a 40 point increase in credit score just by opening one of these cards. What happens to your APR for a credit score of 590? Here’s a chart illustrating the differences between annual fees and interest rates between someone with good credit and a credit score of 590. Let’s say you are a first time home buyer with a credit score of 590. Can a credit score of 590 buy a house? For most mortgages you need to be above a 620 credit score, but there are a few loans out there that go down to 590 for FHA. But then other parameters get harder (life debt to income) so it makes it pretty hard to qualify below 620. Let’s say that you may qualify for a FHA loan with a credit score of 590, but as we can see in the charts below, a low FICO score increases the amount of money you will end up spending on a loan throughout the course of its life. If your FICO score is below a 560, most lenders will not even consider offering you a jumbo loan for a FICO score that low. So can a credit score of 590 get a mortgage? Perhaps. But getting a mortgage with a credit score of 590 will add an extra $68,040 over the course of the loan than someone with a 721 credit score. The interest rate for a credit score of 590 will increase the monthly mortgage payment by $222 more than someone with a score 95 points higher, at a credit score of 675. Just how bad is a credit score of 590? As we’ve seen in the sections above, this score impacts every aspect of your financial life. Mortgages, auto loans and credit card interest rates are all dramatically higher than they would be if you had moderate credit. If you would like to improve your credit score of 590, there are a few ways you can go about it. What does a credit score of 550 mean? Is a credit score of 550 good or bad? A credit score of 550 is considered “Poor.” In fact, any credit score below 619 can really take a toll on a person’s life – and not in a good way. The effects can be worse than one might think. In this post, we’ll share what having a credit score of 550 means for home loans, car loans and credit cards. Plus, we’ll share how to improve a 550 credit score. Buying a car with a credit score of 550 is possible, but higher interest rates are always given to people with bad credit. What is the interest rate for a credit score of 550 on an auto loan? Let’s take a look at how much more a car costs for someone with a credit score of 550 compared to a credit score of 650. Can a credit score of 550 get an auto loan? As the chart above shows, getting a car loan with a 550 credit score is going to cost you a lot more. On a 36 month new auto loan, it’ll cost you $2,556 more. On a 48 month, $3,504 more. On a 60 month auto loan, it will cost you a whopping $4,440 more. In other words, if your scored changed to a 680, you would save thousands of dollars on your loan. Don’t you think it’s worth a few hundred dollars to restore your credit before you take a test drive? Contact Go Clean Credit to get started. What’s the best credit card for a score of 550? Unfortunately, your options are limited. The general guidelines with credit cards is that any score above 600 may qualify for an unsecured card. If you have a credit score of 550, then you will only qualify for a secured credit card and will be required to make a minimum deposit in order to open your credit card. Go Clean Credit continually evaluates credit offerings and currently recommends these Secured Cards for people with a credit score of 550. We have seen up to a 40 point increase in credit score just by opening one of these cards. What happens to your APR for a credit score of 550? Here’s a chart illustrating the differences between annual fees and interest rates between someone with good credit and a credit score of 550. Let’s say you are a first time home buyer with a credit score of 550. Can a credit score of 550 buy a house? Can you rent with a credit score of 550? For most mortgages you need to be above a 620 credit score, but there are a few loans out there that go down to 550 for FHA. But then other parameters get harder (life debt to income) so it makes it pretty hard to qualify below 620. Let’s say that you may qualify for a FHA loan with a credit score of 550, but as we can see in the charts below, a low FICO score increases the amount of money you will end up spending on a loan throughout the course of its life. If your FICO score is below a 560, most lenders will not even consider offering you a jumbo loan for a FICO score that low. So can a credit score of 550 get a mortgage? Perhaps. But getting a mortgage with a credit score of 550 will add an extra $68,040 over the course of the loan than someone with a 721 credit score. The interest rate for a credit score of 550 will increase the monthly mortgage payment by $222 more than someone with a score 95 points higher, at a credit score of 645. Just how bad is a credit score of 550? As we’ve seen in the sections above, this score impacts every aspect of your financial life. Mortgages, auto loans and credit card interest rates are all dramatically higher than they would be if you had moderate credit. If you would like to improve your credit score of 550, there are a few ways you can go about it. 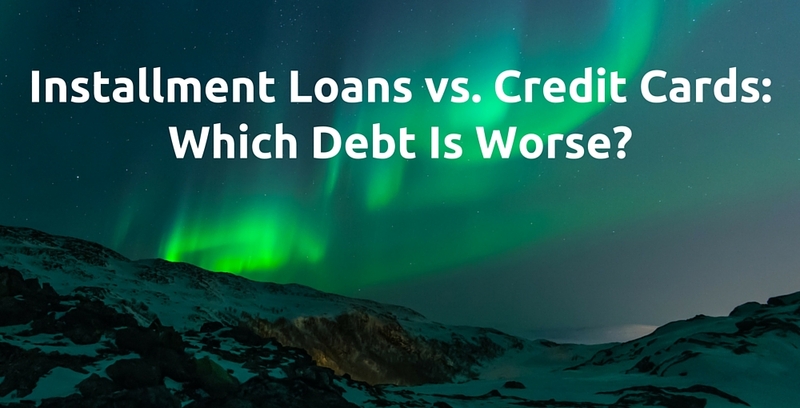 Installment Loans vs. Credit Cards: Which Debt Is Worse? When comparing installment loans vs. credit cards, it’s crucial to first define each and subsequently see the debts associated with them. Each type of debt involved can have a different impact on your credit score, and perhaps on the credit repair process. Of course, paying off any debt on time is a good thing—but there are several factors in both kinds of debt that you’ll want to keep in mind. Installment credit involves a loan that you pay back in level payments each month. The loan’s amount is determined when you are approved, and the sum you have borrowed remains constant over time. Both auto loans and mortgages are examples of installment loans. Both credit cards and home equity lines of credit, or HELOCs, are examples of revolving credit. This type of credit is not issued in a preset amount. There will be a limit on how much you can borrow. However, the amount you use within that specified limit is your prerogative. Most revolving loans come in the form of lines of credit, where the borrower makes charges to the card and pays them off (and repeats this process). There are some more detrimental or otherwise complicated debts involved with credit cards. When it comes to calculating which debt is worse for your credit score—installment loans vs. credit cards—we’ll take a look at the repercussions of each. Installment debt is usually deemed good debt because it often leads to the purchase of a necessary, valuable item and it is relatively stable. Credit cards, on the other hand, can help with daily financial needs, but their misuse can lead to increasing debt that causes financial ruin. With an installment loan, you know precisely when the debt will end. A mortgage loan or auto loan used for financing a home or car may last five, 15 or 30 years—but it’s a set time frame. With credit card debt, it can be more difficult to manage. While such cards offer flexibility and are easy to acquire, the debt that comes with it can present financial difficulties. Those who have trouble avoiding the temptation of using a credit card to purchase all sorts of things can easily face a mountain of debt in a short time. Some pay only the minimum amount due each month—instead of paying off the full balance—while their revolving credit debt spirals out of control. On the other hand, installment loans can provide for simpler budgeting, since borrowers know how much money they need to set aside every month. Installment loans have other advantages: You typically get a fixed rate, rather than the variable one charged on most credit cards. Furthermore, your debt balance will be paid off over the term of the loan. (You could potentially carry credit card debt your entire life, if it’s left unchecked.) If you stop carrying a balance on your credit card, you should be in much better standing: debt-free with possibly higher credit scores. Because credit card debts are less set in stone than installment loan debt payments, your credit score can be more impacted by accumulating revolving credit debt. If you have checked the repercussions of installment loans vs. credit cards, and you’re in need of credit repair services, contact Go Clean credit for quality credit restoration. There are several misconceptions about adding authorized users on credit cards. If you’re considering including an authorized user on your credit account, you’ll want to know the truth about the following five myths first. Myth 1: Your credit score takes a hit from having authorized users on credit cards. In reality, the simple addition of an authorized user, in and of itself, won’t affect your credit score. It’s the user’s behavior that has the chance to impact your credit. Depending on your authorized user’s credit spending habits, you may or may not see a positive change on your credit score. However, as a general rule, acquiring an authorized user on your credit card can quickly boost your score—particularly when you’re in need of a mortgage loan. Myth 2: As an authorized user, you are also held responsible for card payments. An authorized user on a credit account does not hold any liability for card payments. Only the primary cardholder is responsible for those. Myth 3: The kind of credit card doesn’t matter when adding authorized users on credit cards. When becoming an authorized user, you’ll want to have your name added to a credit account that’s old, has a low balance in relation to the credit limit and has consistently been paid off on time. Myth 4: Having authorized users on credit cards won’t help you as a homebuyer. A homebuyer will find that adding an authorized user can help if they are looking to acquire a mortgage. Only small number of lenders don’t like when cardholders have authorized users on their account. If it’s clearly a family member, they most likely won’t have issue with it. When they think the authorized user is a friend of a friend, lenders are more wary. One Go Clean Credit client went through the credit repair program and started with a score of around 550. Through the program, he reached a credit score of around 680. Then, while trying to get a loan, he needed a higher score of 720. At Go Clean Credit, he was added to a 40-year-old credit card as an authorized user and that launched his score up to 723. Myth 5: It delivers a slow impact on your credit score. One thing about having authorized users on credit cards is that it produces change very quickly. The day that it reports, you’ve already added 20-something years of credit history—and it will report within about a week of whatever the statement due date is. For example, let’s say your mom adds you as an authorized user today, and her statement date is in 3 days. Then, it’s going to post on your report next week. It’s actually a great way to increase your credit score promptly. 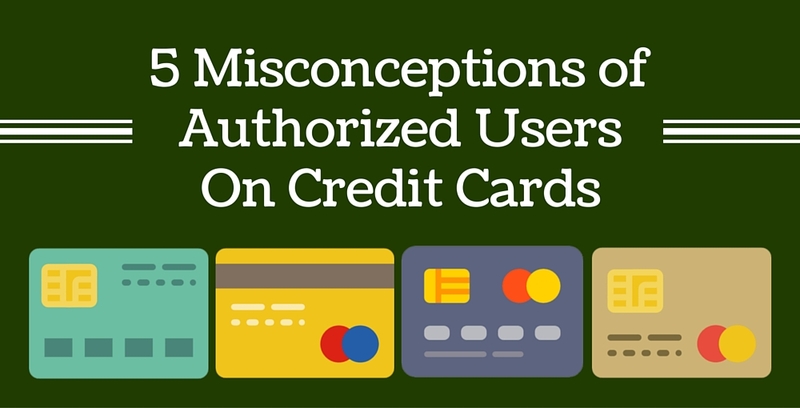 These misconceptions of authorized users on credit cards have truths behind them that are crucial to understand. Adding an authorized user to your account—or becoming an authorized user—when trying to repair your credit can offer a healthy credit boost. What does a credit score of 580 mean? Is a credit score of 580 good or bad? A credit score of 580 is considered “Poor.” In fact, any credit score below 619 can really take a toll on a person’s life – and not in a good way. The effects can be worse than one might think. In this post, we’ll share what having a credit score of 580 means for home loans, car loans and credit cards. Plus, we’ll share how to improve a 580 credit score. Buying a car with a credit score of 580 is possible, but higher interest rates are always given to people with bad credit. What is the interest rate for a credit score of 580 on an auto loan? Let’s take a look at how much more a car costs for someone with a credit score of 580 compared to a credit score of 680. Can a credit score of 580 get a car loan? As the chart above shows, getting an auto loan with a 580 credit score is going to cost you a lot more. On a 36 month new auto loan, it’ll cost you $3,734 more. On a 48 month, $5,096 more. On a 60 month auto loan, it will cost you a whopping $6,506 more. In other words, if your scored changed to a 680 through credit repair, you would save thousands of dollars on your loan. Don’t you think it’s worth a few hundred dollars to restore your credit before you take a test drive? Contact Go Clean Credit to get started. What’s the best credit card for a score of 580? Unfortunately, your options are limited. The general guidelines with credit cards is that any score above 600 may qualify for an unsecured card. If you have a credit score of 580, then you will only qualify for a secured credit card and will be required to make a minimum deposit in order to open your credit card. Go Clean Credit continually evaluates credit offerings and currently recommends these Secured Cards for people with a credit score of 580. We have seen up to a 40 point increase in credit score just by opening one of these cards. What happens to your APR for a credit score of 580? Here’s a chart illustrating the differences between annual fees and interest rates between someone with good credit and a credit score of 580. Let’s say you are a first time home buyer with a credit score of 580. Can a credit score of 580 buy a house? For most mortgages you need to be above a 620 credit score, but there are a few loans out there that go down to 580 for FHA. But then other parameters get harder (life debt to income) so it makes it pretty hard to qualify below 620. Let’s say that you may qualify for a FHA loan with a credit score of 580, but as we can see in the charts below, a low FICO score increases the amount of money you will end up spending on a loan throughout the course of its life. If your FICO score is below a 560, most lenders will not even consider offering you a jumbo loan for a FICO score that low. So can a credit score of 580 get a mortgage? Perhaps. But getting a mortgage with a credit score of 580 will add an extra $68,040 over the course of the loan than someone with a 721 credit score. The interest rate for a credit score of 580 will increase the monthly mortgage payment by $222 more than someone with a score 95 points higher, at a credit score of 675. Just how bad is a credit score of 580? As we’ve seen in the sections above, this score impacts every aspect of your financial life. Mortgages, auto loans and credit card interest rates are all dramatically higher than they would be if you had moderate credit. If you would like to improve your credit score of 580, there are a few ways you can go about it. 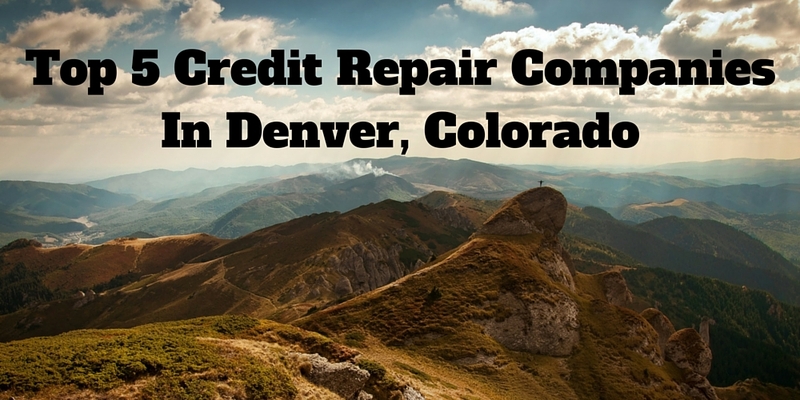 If you’re in the Denver area and looking to repair your credit, there are plenty of options for you in and around the Mile-High City. Check out the following top credit repair companies in Denver to help you achieve your financial goals and maintain a healthy spending-saving plan. Go Clean Credit is one of the top credit repair companies in Denver, offering personalized credit correction services since 2003. Because restoring your credit can be daunting, Go Clean Credit makes it a hands-on process specified for your needs. Whether you’re dealing with mortgage correction, judgments, bankruptcies, student loans or identity theft, Go Clean Credit provides a trusted source for credit repair companies in Denver. Their client-centered approach pairs credit restoration with credit education to keep you on the right track. Continental Credit, based in Westminster, Colorado, offers a comprehensive analysis of your credit before establishing a game plan for your credit repair. After gathering your personal information, Continental Credit professionals begin their analysis and corrections of any errors in your credit history. They also understand how to work with credit bureaus to help many Denver residents restore their credit, and they provide in-person services for a personalized credit correction process without automation. With a mission to help clean up your credit report and improve your credit score, Credit Scrubs is a Brighton-based company with a three-step plan for success. First, they obtain and analyze your credit reports. Next, they tailor a success plan to each client based on their analysis of your credit history. They also help educate you on improving the positive credit aspects of your FICO score. My Credit Overhaul has proven to be one of the top credit repair companies in Denver, providing affordable credit repair services for a new generation. If you are searching for a new home loan or auto loan, or lowering your current interest rates, My Credit Overhaul is a reliable service for your credit repair needs in Denver. One-on-one interactions with specialists will help guide you through the credit restoration process at My Credit Overhaul.